In this final part we will explore the biblical significance of Nineveh in the Word and what we, as One New Man, can learn from it today. Aside from the creation of Nineveh by Nimrod and the many Assyrian attackers, such as Sennacherib, coming from Nineveh, most of the biblical significance of the city lies, more or less, in two prophetic words against her. One by the prophet Jonah, and the other by the prophet Nahum. Jonah’s prophetic word against Nineveh should they not turn is the oldest of the two prophetic books that, at their core, wholly focus on Nineveh. Jonah was a prophet first and foremost. Only the first half of the book of Jonah touches upon the well-known tale of disobedience and repentance. Consequently, that story, while important, doesn’t give the full message—however closely it mirrors it. Jonah’s obedience to proclaim the prophetic word the Lord gave him AND the subsequent mass repentance of Nineveh for their own disobedience is where the other half of the story—where Jonah’s walk with the Lord in the book of Jonah—began in earnest. “So the people of Nineveh believed God, proclaimed a fast, and put on sackcloth, from the greatest to the least of them. Then word came to the king of Nineveh; and he arose from his throne and laid aside his robe, covered himself with sackcloth and sat in ashes. Yet, even though Jonah ultimately obeyed God to spread the call for repentance to Nineveh, he was unhappy with the outcome. He wanted Nineveh to be destroyed by God, but instead they began to cry out to God and turn from their evil ways—even if only for a time—and God spared them while they repentantly obeyed. We would think that after everything God had done for Jonah—calling him to be a voice, sparing him when he disobeyed, then caring for him when he obediently proclaimed the message of redemption to Nineveh—that Jonah would understand God’s heart of forgiveness and feel it within himself… but it wasn’t as easy as it first sounds. Nineveh was part of Assyria, a kingdom that often attacked Israel and Judah; their sworn enemy. Yet, beyond this, Nineveh—and Assyria as a whole—failed to follow after God and instead bowed to false idols, gods, demons, and other evils. They continually partook in highly ungodly and even violent behaviors—often at the expense of God’s people, mistreating and killing them in brutal ways. Interestingly, despite Nahum being from Galilee and prophesying in Judah, the book of Nahum speaks exclusively of the destruction of the once again, evil Nineveh. For while the people of Nineveh repented and turned to God in the time of Jonah, a mere century’s passing was enough for her people to forget God. Indeed, had Jonah still been alive he may have considered it inevitable, apropos even, that the Assyrian’s who took Israel captive in 722 B.C. should know the wrath of God. Yet, unlike with Nineveh’s first offense, the book of Nahum speaks not of their chance to repent and change… but that their mistreatment of God’s people and disobedience had gone too far. Their hearts had grown too hard. It is all full of lies and robbery. Horsemen charge with bright sword and glittering spear. In fact, while God did not rise up to save the kingdom of Israel due to their having turned wholly away from Him, the words He spoke to the prophet Nahum show us that He was not deaf to their cries, nor failed to love or remember His people. Nineveh, a city created by Noah’s great-grandson, Nimrod, was not first intended for the evils that would emerge. These evils largely blooming once Nineveh became a stronghold in Assyria, then the Assyrian capital city. In fact, aside from a period of less than one hundred years, the city—as far as we know—never followed after God, instead worshiping false gods and attacking those who followed Him… God’s people, Israel. Today, the people of Israel, who suffered at the hands of the Assyrians and were taken into captivity by them, once again reclaim their rights to the land God promised them—prophecy fulfilled. And today, as One New Man via My Olive Tree, we have the ability and privilege to help modern Israel thrive as the Lord forespoke! 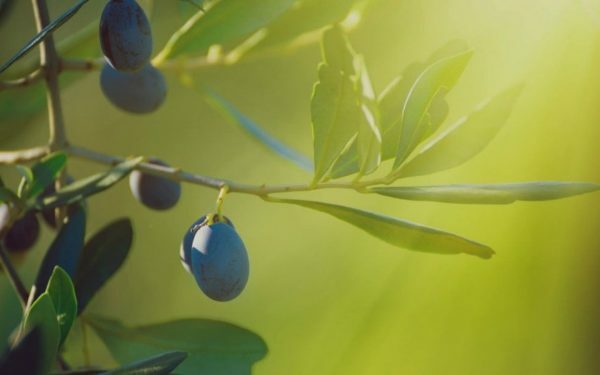 We can return the bounties that once were taken ransom, building up the land through the planting of olive trees, fig trees, date trees, and so much more! We can support Holocaust survivors and even celebrate her 70th year as the renewed Israel! Let us be a light… to the roots of our faith, to the Jewish people, and to the land of Israel!